The question of the value of consulting multiple translations comes up from time to time (recently here, for example). But beyond flagging passages where a reader might want to investigate a bit more, I’m not entirely sure what the value is. As the chart to the right depicts (click on it to enlarge it), multiple translations can easily cluster around a meaning which is wrong. One easy way for this to happen is when translators base their work on older wrong translations. They might do this directly by consulting the older translations, or indirectly by looking up words in a lexicon that in turn is based on an older translation. It seems to me that this is more of a problem with an error in translation philosophy (i.e., depending too much on other translations, rather than on study of the original languages) than it is with having multiple translations, per se. If it were possible to have an exact one-to-one correspondence of “original text” to “translated text” in terms of meaning, of course there wouldn’t be a problem. But since all translation is, by definition, interpretation, and since no translation is perfect, it seems to me that having multiple translations in an inevitable necessity. And if all new translations started from scratch, I expect that much of the problem cited here (especially by your intriguing Venn diagram) would be minimized. Joel, I’m not sure what the point of this is – particularly since in my post, *for those who will probably never learn the languages,* the only two options I suggested were ONE literal translation vs. many translations. That would essentially equal taking something like *just* translation 4 or *just* translation 3. Now, which is more dubious? Using all those translations? Or just using translation #3? 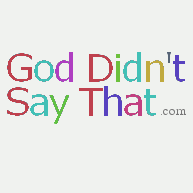 Your post was only tangentially related, though the comments there are more relevant to what I wrote. The main point of the post is that adding translations doesn’t necessarily make things better. A reader would do better just to use Translation (1) than to mix (1), (2), and (4). And while it’s true that just using (3) is worse than using (3) and (2), or than using (3) and (5), using (2) or (5) alone is better than using either one with (3). Okay, I wasn’t sure with the link. It’s difficult to tell sometimes. As for your last sentence, in terms of teaching the laity how to use multiple translations, if they were using 2 & 3 together, it would be at this very point where red flags should pop up very quickly in their heads for both looking at a few additional translations as well as turning to a more detailed exegetical resource. That is to say, even when 2 & 3 might throw off the reader when together, there is still merit in using them so that they learn where to look when drastic meaning differences appear. 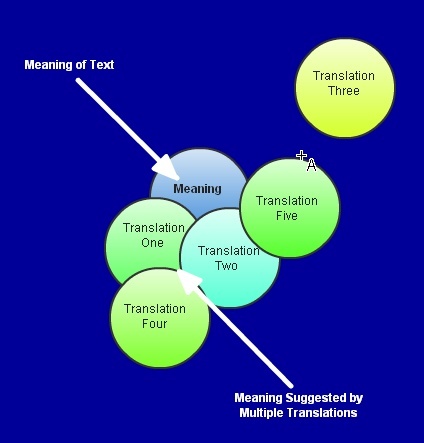 Finally, there definitely will be clauses, phrases or even paragraphs where 2 & 3 would completely switch places in terms of their relationship to the meaning of the text and then in that case, it would be better for the reader to be using 3 rather than 2 — which is again why I would advocate using at least 3 three translations when studying. This is a separate but very important issue. I think a lot of people (wrongly) judge the accuracy of a translation by how much they like it.